The word ‘stress’ evokes specific images in the minds of most people. It is usually defined as the overwhelming burden of handling difficult and/or numerous tasks, causing strain, anxiety, nervous tension, trauma, or hassle. In the early 1900s, a Harvard physiologist, Walter Cannon, first described and named the ‘fight or flight’ mechanism in the body, and showed the damaging bodily effects of a continuous stress response. Modern research has increasingly shown a close relationship between stress and illness. Physical stress, i.e. injury or trauma, is well documented as causing harmful effects on the body. Most sickness is brought on and often made worse by emotional stress. Chemical stress, the result of ingesting poor food and drink, as well as exposure to environmental hazards, can hinder our health by challenging the body to work harder to rid itself of these damaging toxins. Imagine walking in the woods on a nice fall afternoon, and a large bear walks across your path. The bear slowly moves toward you. Do you stay and fight, or run for your life? Either answer involves activating your sympathetic nervous system, specifically the “fight or flight” system. This increases blood flow and heart rate, dilates your pupils, and gets you ready to deal with sudden, life-threatening emergencies. The nerves that handle stress are located in the spine from the bottom of the neck to the low back (T1 through L2 levels). The “fight-or-flight” response, while necessary in an extreme emergency, it is often active during other stressful yet non-dire times. In this case, it can be taxing on the body. The initial symptoms of chronic stress are considered relatively mild, like headaches and frequent susceptibility to colds. 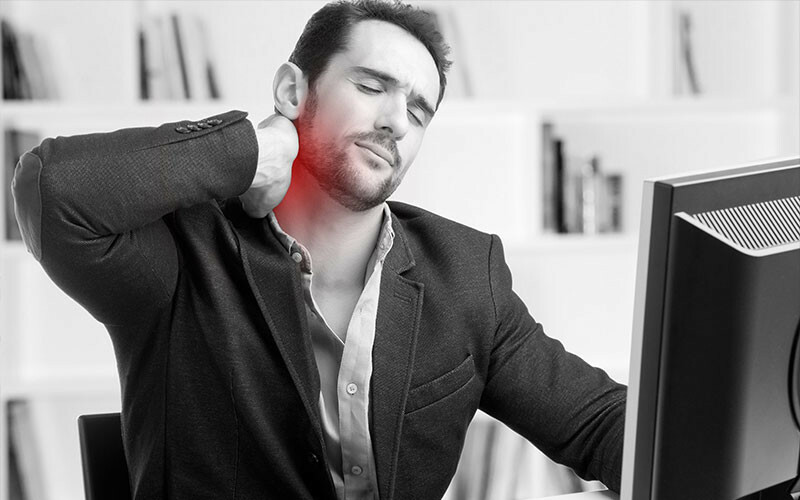 Prolonged stress, however, slows down other processes of the nervous system, which can result in the development of more serious health problems. Long-term stress can suppress the immune system, which can lead to disease and chronic illness, fatigue, fibromyalgia, cancer, bowel trouble, depression, diabetes, hair loss, heart disease, hyperthyroidism, obesity, obsessive-compulsive or anxiety disorders, ulcers, and more. How does chiropractic relate to stress? Imagine watering your lawn, but there is a twist in the garden hose. Without water, grass begins to turn brown and die. Your options are: A) bring water in from elsewhere to feed the yard, B) let it be, or C) find the problem and fix it. The obvious solution is “C.” As any smart person would do, you would simply locate the source of the problem, un-kink the hose, and restore water supply to the yard. Now the grass slowly rejuvenates. Similar to your lawn, the bones of the spine occasionally need to be “un-kinked.” Nerves that travel through the spinal column to various parts of the body send important information to and from the brain. If there is interruption in this process, similar to the hose, your body may lose its ability to function as well as it should, bringing pain, sickness, or other health problems – symptoms. 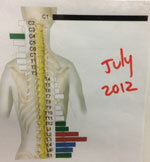 Chiropractors find the cause of nervous system disruption, remove it, and let the body heal itself, as it was designed. However, just as you car’s engine needs clean fuel and routine maintenance, the body needs proper nutrition, hydration, and rest. Chiropractic alone doesn’t “fix” your chronic health issues, however it sets the stage for proper healing, provided you give the body the required essential nutrients to help it perform optimally.